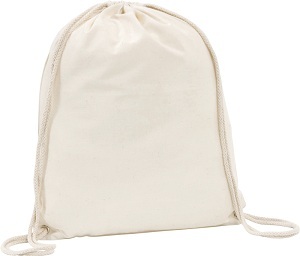 Westbrook' 4.5oz Cotton Drawstring Bag - Express Corporate - Promotional Products - Delivered Fast! Drawstring bag c/w metal eyelets. Made from all natural, environmentally friendly 4.5oz (140gsm) cotton. Quantity Discounts Please call our sales team for fantastic discount when ordering higher quantities of our promotional bags and folders! Additional Print Colours Additional print colours are available on this item. Please call our sales team for your personalised quotation.